Is your groom more focused on the classic appeal of the past? Does he think that things were better in the good old days and that we don’t always need to update things for the newest technologies or appearances? Our men’s designer 4mm traditional domed polished finish 14K yellow gold wedding band was designed for the groom who appreciates the classic appeal of a traditional ring. This is a simple band, albeit one that offers extraordinary quality. Gleaming 14K yellow gold is wrought into a 4mm traditional fit band with a polished dome profile. The enduring traditional appeal of our designer 4mm traditional domed polished finish 14K yellow gold wedding band and its budget-friendly price tag are an ideal pairing. We know that fitting your dream wedding into your budget can be stressful at times, which is why we offer high-quality rings at budget-friendly prices. 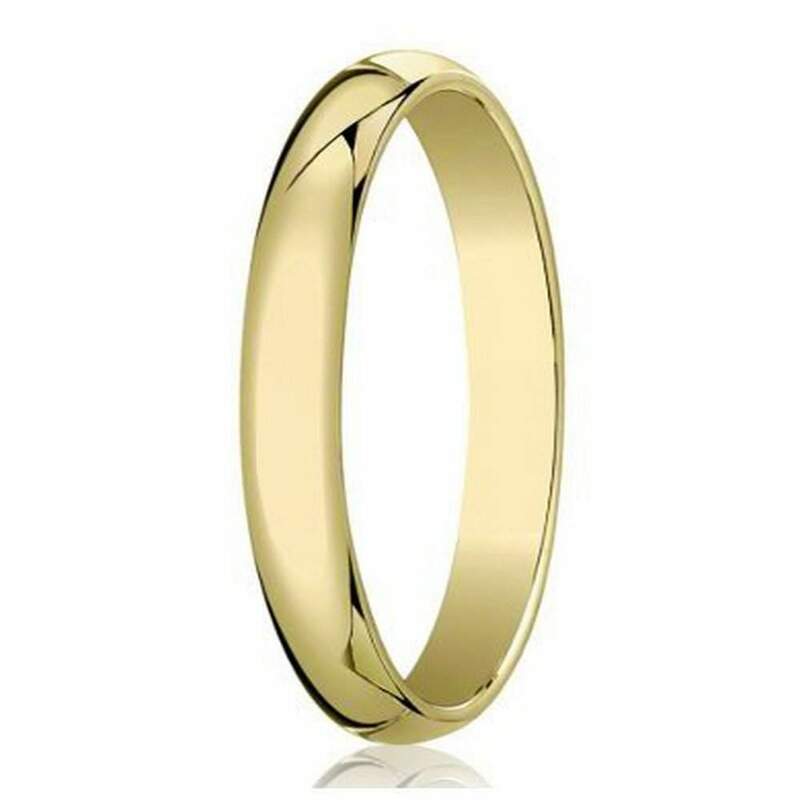 Our men’s designer 4mm traditional domed polished finish 14K yellow gold wedding band doesn’t skimp on any of the important details but allows you to find a classic option at a great price. We even offer custom engraving of up to 30 characters including spaces. Add initials, the date of the wedding, or anything else to make this a custom piece just for your groom.